Welcome to my country house, “Coppid Beech” providing a super background for my collection of couture hats by many well known designers. 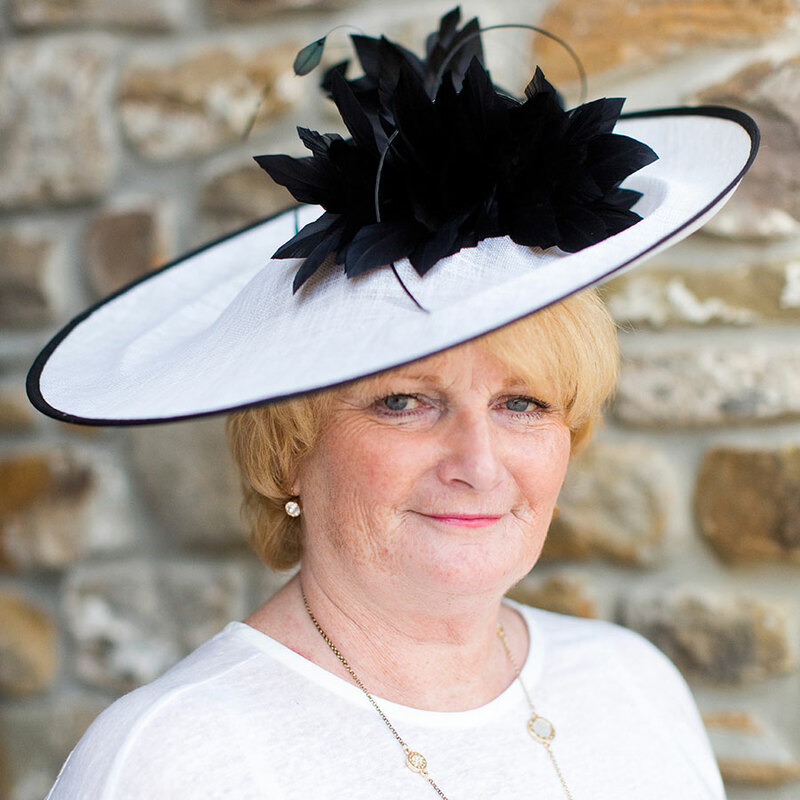 I’ve been a milliner for many years and love what I do. My ground floor showroom host so many different styles, colours and textures to choose from, do bring your outfit… we have a changing area and its all helps to see the overall look. There’s lot of parking and I have very flexible opening times, ringing for an appointment would be appreciated. Follow signs for Binfield B3408 at traffic lights take the right filter and turn right at the hotel. Make a U turn and return to traffic lights in the left filter towards A329M Immediately after lights take slip road off to London road. The house is on the left after the cottages.